Las Vegas Arts Council & Gallery 140 | Artists and Art Lovers Inspired Here! We are the original Las Vegas. Historic. Beautiful. Diverse. Authentic. We are New Mexico True. We are a local Arts Council dedicated to serving you. Art lovers, curious art explorers, visual artists, performance artists, you are welcome here! 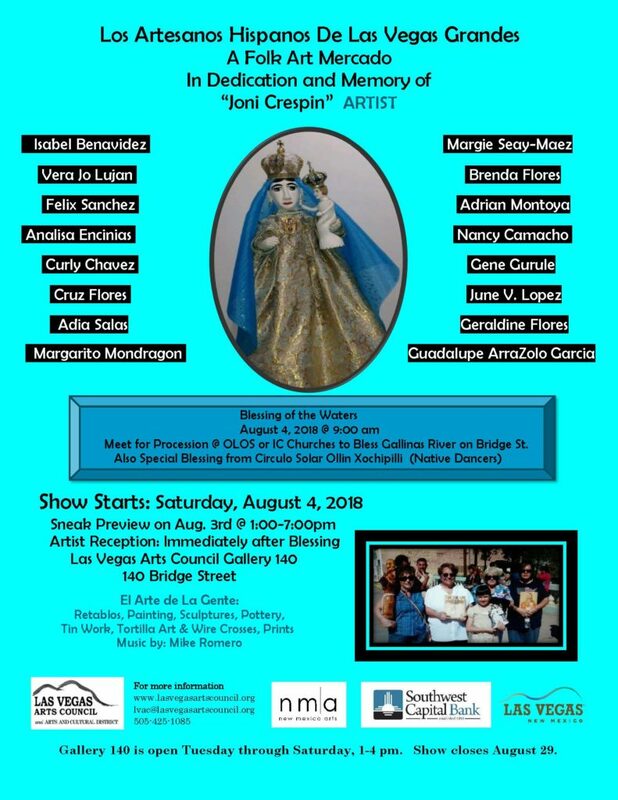 The Las Vegas Arts Council’s Gallery 140 at 140 Bridge Street has a different exhibit nearly every month to introduce you to the art and artists of our community. 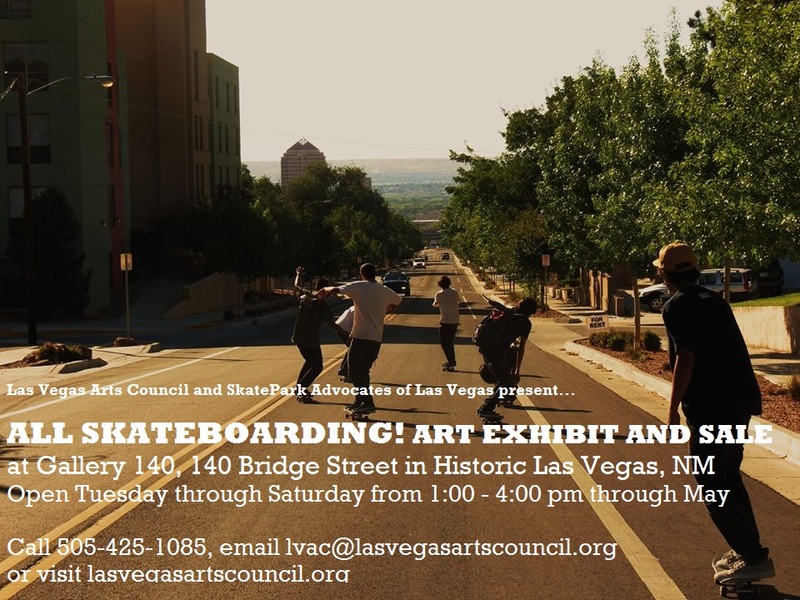 Las Vegas Arts Council is open, Tuesday through Saturday, from 1-4 pm. These are recent events you may have missed, just to give you a sampling of our exhibits. Stay in touch by bookmarking our Community Events Calendar page or email us with Subscribe in the subject line and we will email you every other week. Do you own a piece of art by a favorite Las Vegas area artist who may not be remembered today by most people living here? Gallery 140 is introducing Las Vegas to some of its forgotten artists during a show this month. Some artists are still living, but none are forgotten. None have been seen publicly in Las Vegas for at least five years. We have a very similar piece available in a Silent Auction. Click here for the complete guide to the exhibit. July 2018 Read more here. 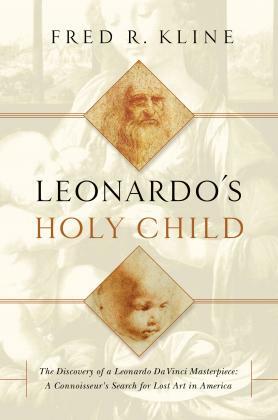 August 2018 Read more here. No, not a recycled show, but recycled art! 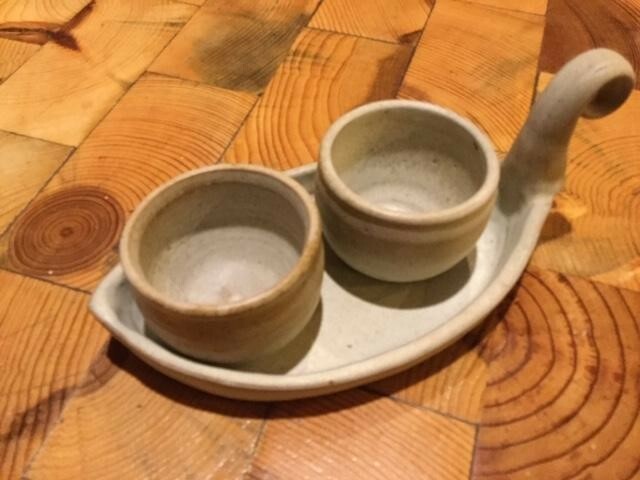 Every piece was either made of or on recycled material. For more information, click HERE. 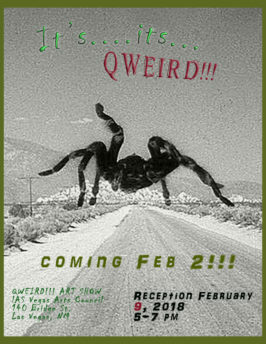 Something strange, unusual, unexpected, etc., if it’s queer and weird, it must be QWEIRD! One local artist decided we needed something DIFFERENT to brighten up February, and strangely enough, dozens of her fellow artists agreed. 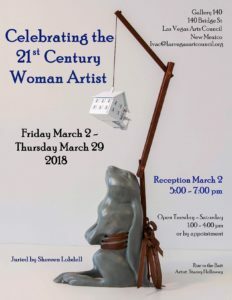 This one-of-a-kind exhibit included work from Beth Urech, Kallie Willbourn, Fred Turner, Elizabeth Morse, Connie Mack, Diane Moreno, Brian THE LION Marquez, Kathryn Lenihan, Louise LaPlante, Kristy Klaiber, Gary King, Johanna Keenan, Mario P. Lopez, Linda Johns, Ezra Hubbard, Bob Henssler, Mary Rose Henssler, Sarah Frazier, Denise Fox, Todd Christensen, Meredith (Uncle) Britt, Bambi Doe Blake, Frank Beurskens, Dia Atman, Anna Aragon, and Linda Anderle. We introduced the community to gallery owner and art explorer, Fred Kline, who spoke about his life-long adventure searching for undiscovered works of art. The community was invited to join Joseph’s friends and family as we celebrated this outstanding citizen. 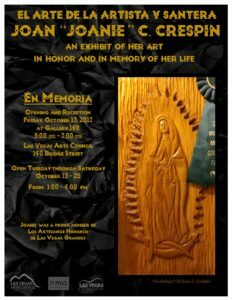 All the art work at Gallery 140 depicted Mr. Gonzales, and portions of the sales and 100% of any donations will be divided between his two favorite charities, Comedor de San Pascual and the Our Lady of Sorrows Kilgen Organ Restoration Fund. 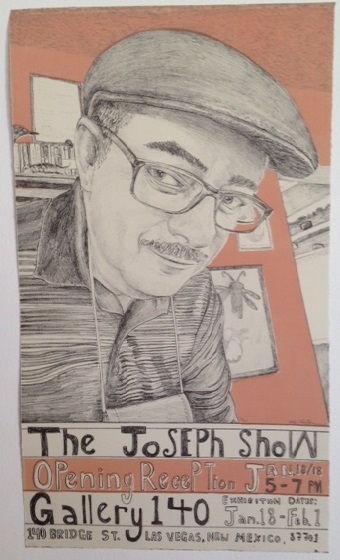 The donations , totalling $2000 were presented in Joseph’s name. Every December, we celebrate the fine arts and crafts of Las Vegas artists and artisans at Gallery 140. You will love browsing and shopping to the sounds of holiday music, and the cinnamon scents of the season. 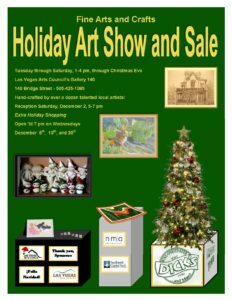 The 2017 Holiday Show and Sale at Gallery 140, 140 Bridge Street, featured mostly small and reasonably priced fine crafts and artwork appealing to both art lovers and holiday shoppers. 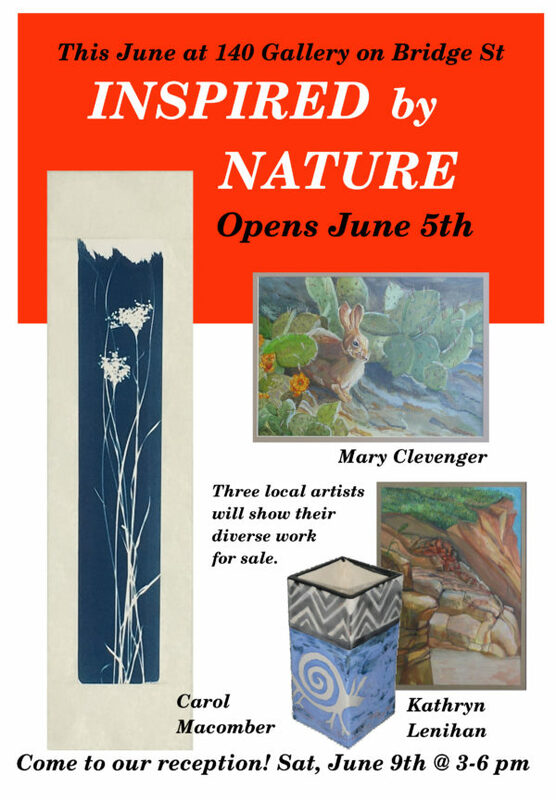 Framed wall work, sculpture, fiber arts, ceramics, jewelry, greeting cards, and more. 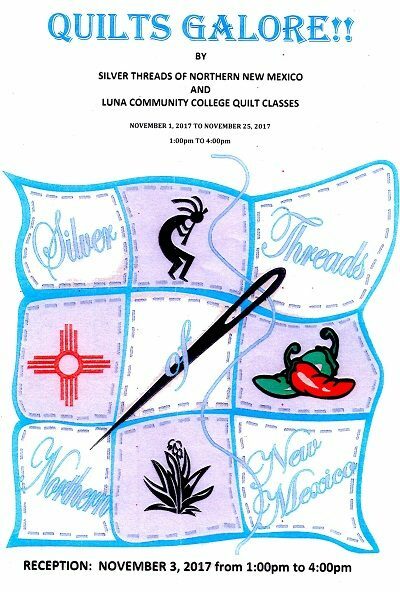 The Luna Community College quilt classes (including the Silver Threads of Northern New Mexico) exhibited a vibrant, skillfully created collection of quilts for your viewing pleasure. A few were for sale, but most will become treasured family heirlooms. The colors and the imagination behind these creations warmed hearts and inspired crafting creativity. The collection included the work of dozens of quilt artists, of all ages, from all walks of life, beautifully representing our community. Special recognition goes to long-time quilt and fiber arts instructor Lin Chibante Ayers. October‘s show was the work of local artist, pott er, santera, and craftswoman, Joan “Joanie” C. Crespin, a repeat Fiesta poster contest winner whose work is deep, heart-felt, and empowered by her heritage and respect for the culture of her community. It hasn’t been a full year since her passing, but her daughter, Jodi, and her sisters Josette and Margie were willing to share these family treasures with the community Joanie loved and served. Joan’s contribution to the group know as Los Artesanos Hispanos de Las Vegas Grandes will endure. We are celebrating the opening of this exhibit at Gallery 140, 140 Bridge Street with a public reception from 1:00 – 4:00 pm. 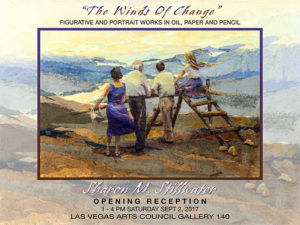 Come meet the artist and feel the winds of change she has experience. This is an extraordinary exhibit by an extraordinary woman. You really have to see it, if not today then any Tuesday through Saturday in September, from 1:00 – 4:00 pm. In collaboration with the Las Vegas Arts Council, the Las Vegas Jewish Community presented a month-long exhibit celebrating both their historical and contemporary influences on northern New Mexico. 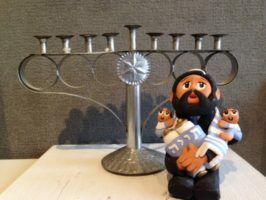 From the descendants of the crypto-Jews through the pioneer merchants and the first synagogue in the territory, up to and including the continuing contributions of today’s socially active residents, the Jewish community has left an enduring imprint. The exhibit included Judaica, historical photographs, art, and multiple presentations, and featured the art of Diana Bryer and Janet Stein Romero for sale. The public was invited to the reception (an “oneg”) at 6:15 on Friday, August 4 at the Las Vegas Arts Council’s Gallery 140, at 140 Bridge Street, that included a presentation by historian and author Marcus Gottschalk. 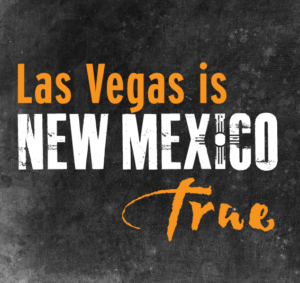 This kicked off the community’s Heritage Week, declared Las Vegas, NM, Crossroads of Diversity. Additional events as part of this exhibit were Movie Night (documentary videos on the Jewish community of New Mexico) on Tuesday, August 8, at 7:00 pm, Stories from the Past…from the Heart on Wednesday evening at 7:00 pm, and a presentation by award-winning author, journalist, photographer, educator and speaker Sharon Neiderman, Jewish Pioneer Journals on Thursday evening at 7:00 pm. 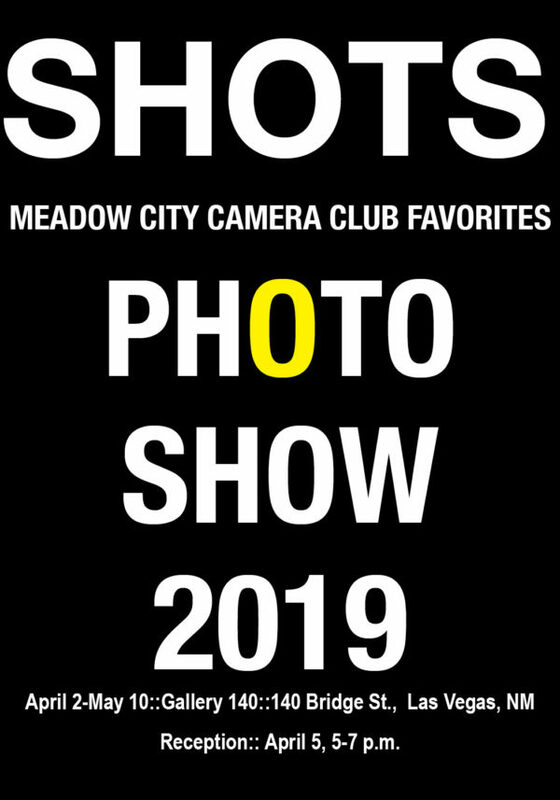 The exhibit will be open through August 30, from 1:00 – 4:00 pm, Tuesday through Saturday and by appointment, and videos will be played on request. Contact 505-425-1085 for more information. Click here complete schedule and presenter biographies. 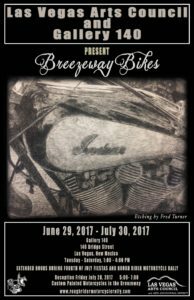 July was Motorcycle Art Month! 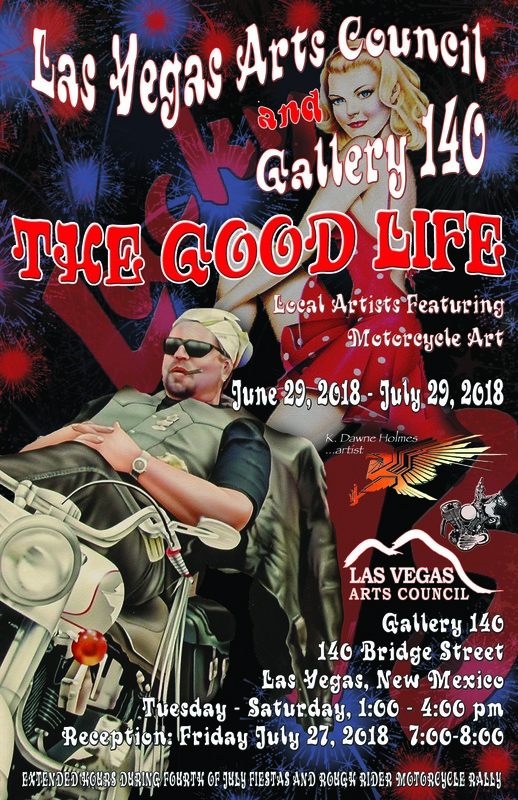 To celebrate the best of the biker culture and the annual Rough Rider Motorcycle Rally in Las Vegas, this multi-media exhibit showcased an art installation titled “Under Construction,” photography, painting, metal sculpture, print-making, jewelry and more! Click HERE for the full sized PDF of the poster. 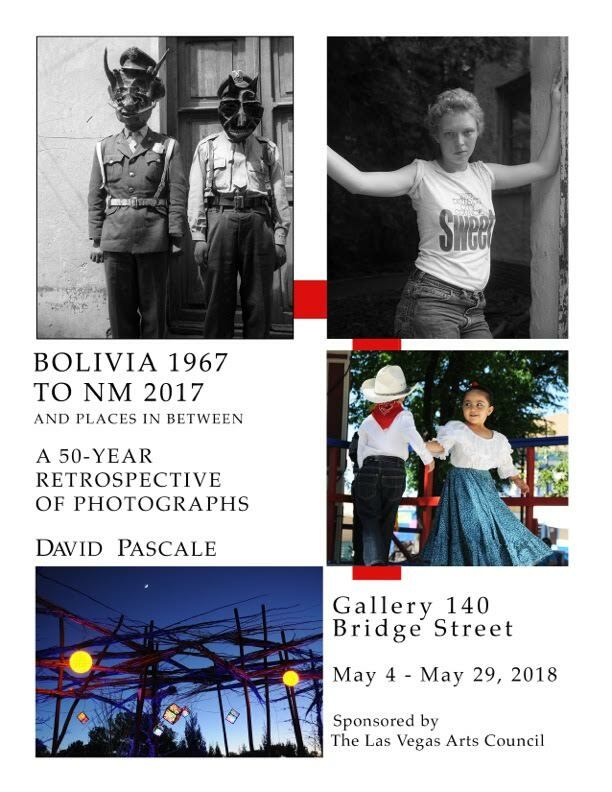 New Mexico Places, the photography of June Bowers is still available. You can see the collection here; how many of these beautiful landscapes, and locations do you recognize? Interested in owning one? 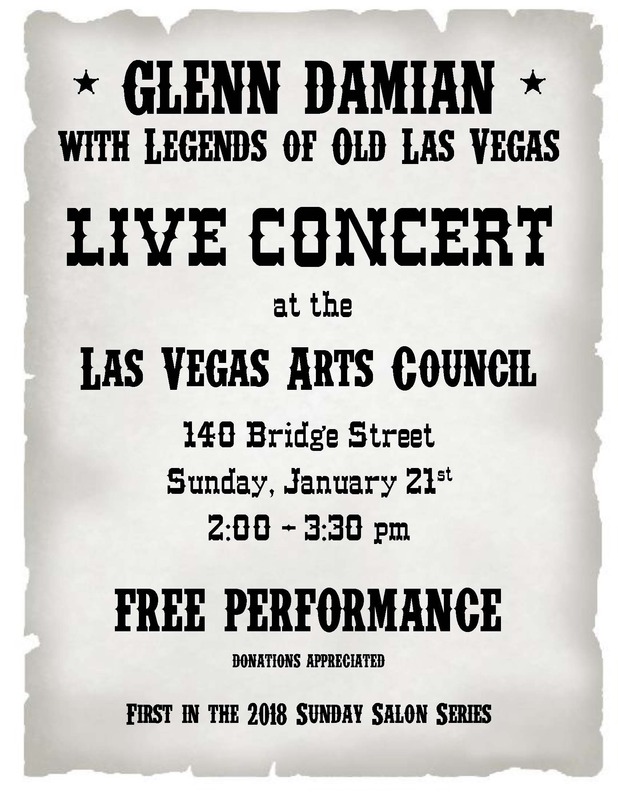 Contact us at 505-425-1085 or lvac@lasvegasartscpouncil.org. We began the month of June with a series of socially engaged art experiences, Weaving Dialogues, and the public participated in creating the connections and the conversations. Curious? Click here for details. In May, we enjoyed “All Skateboarding,” a collaboration of artists celebrating the community and culture of skateboarding, and raising funds and enthusiasm for a new, state-0f-the-art skate park serving the youth of Las Vegas. 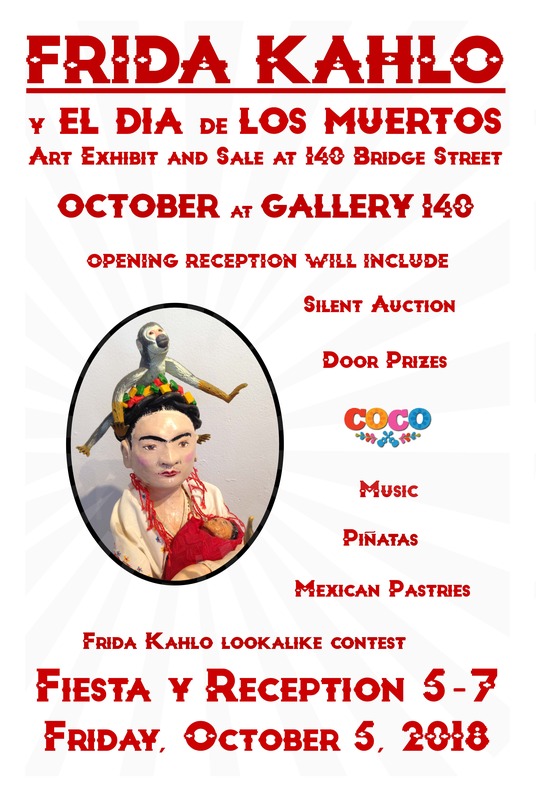 Curated by recent NMHU graduate Brian Marquez, there were pieces for display and many for sale. Paintings and collages on skateboards by Marquez, Pablo Pekoc, Magali Rutschman, Amber MacLean, and others, photographs of skateboarders in action, a selection of boards hand-crafted by woodwork artist Paul Bonchi, framed paintings, a cast iron and bronze loooooong board sculpture by Ben Remmers, a Meredith Britt collage, and more filled the gallery with energy, talent, and skill! 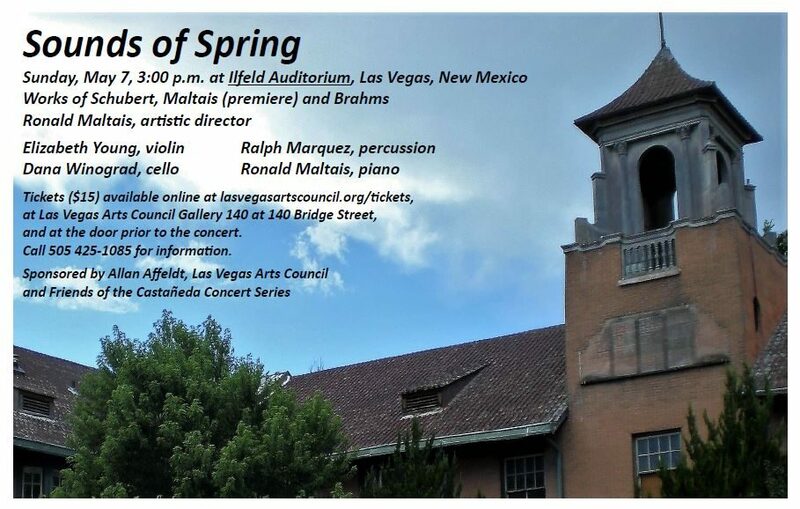 The Third Castañeda Concert, Sounds of Spring was May 7, 2017, at the Historic Ilfeld Auditorium on the NMHU campus. Artistic director Ronald Maltais designed another delightful concert that will include the premier performance of an original composition by featuring local favorite, percussionist Ralph Marquez. To view other archived past exhibits, and delight in the talent and gifts nestled, nurtured, and treasured in our small town, click here. Come celebrate the arts with us in the original Las Vegas, NM. 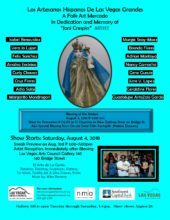 Our list of upcoming arts and cultural events can be found HERE, and we include lots of interesting ongoing exhibits as well. Start HERE to visit our city’s site brimming with things to do and reasons to visit!